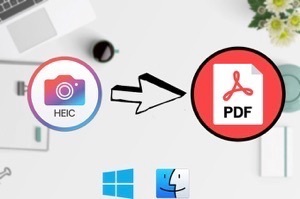 If you want your HEIC files to be available in the PNG format, the following guide shows how to convert HEIC to PNG using various tools available on the Internet. Read on to learn about all the available methods of conversion. 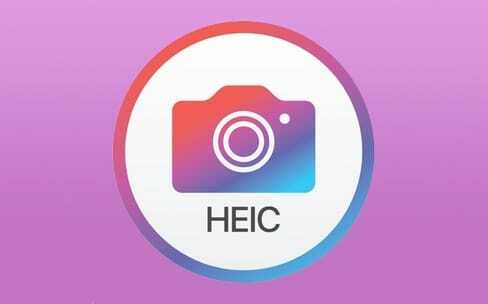 Since the HEIC file format has only been announced recently and it does not work well on non-Apple devices, it needs to be first converted to another widely supported file format for it to be viewable on most devices. PNG is a format that is viewable on most devices and it preserves transparency as well. 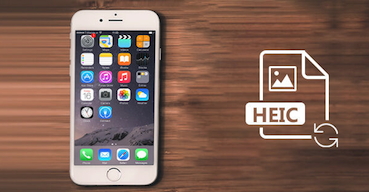 Therefore, many users prefer to convert their HEIC files to the PNG format. 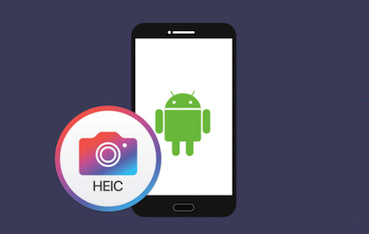 In the following guide, you are going to learn how you can perform a HEIC to PNG conversion. That way all of your selected files will be converted to the widely popular PNG format. These converted files can then be viewed on any of your devices without the need of a special image viewer. 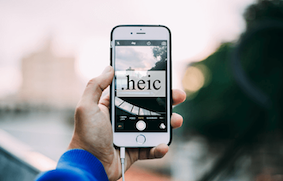 If you are looking for the easiest way to convert your HEIC files to PNG, HEIC to PNG is the best tool out there for you. The tool allows you to convert your files without collecting your email address, unlike other services. 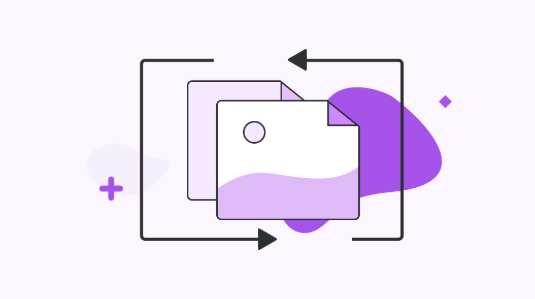 It also lets you perform a bulk conversion in case you want to convert multiple HEIC files at once. The following is how you use it. 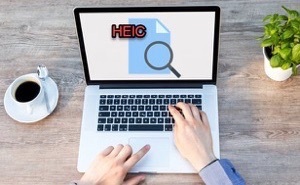 Step 1 Open a web browser on your computer and head over to the HEIC to PNG website. Step 2 When the website opens, either click on the Upload Files button or drag and drop your files onto the panel on your screen. Please keep in mind that you can convert up to 20 files at a time. Step 3 The tool will start converting your files using appropriate conversion and compression methods. 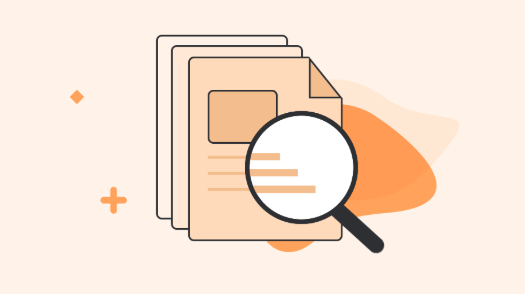 When the files are all converted, download them to your computer. 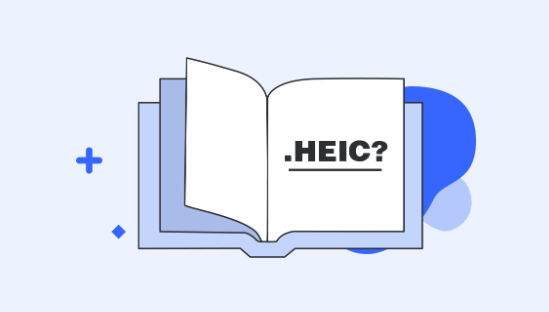 Your HEIC files should now be available in PNG format on your computer. 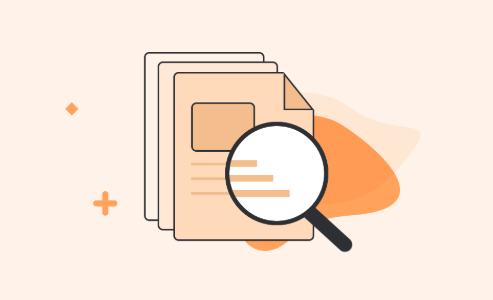 While the above tool gets the conversion process done for you, it will not work if your files are not stored locally on your computer. What that means is it does not support fetching HEIC or any other files from your cloud storage or from web URLs. It only supports file uploads from your computer. 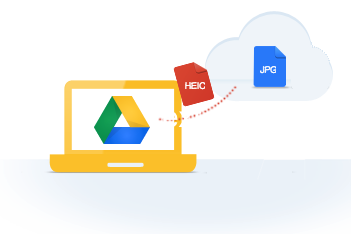 If your HEIC files happen to be on a URL or on a cloud storage provider such as Google Drive or Box, you can use the Cloudconvert tool to convert your HEIC files to the PNG format. The following is how you do it. Step 1 Launch a browser on your computer and go to the Cloudconvert website. Step 2 When the website has fully loaded, click on the Select Files button to upload files from your computer. If you want to add files from a URL or a cloud storage provider, click on the arrow next to the button and select an appropriate option. Step 3 Depending on what option you have chosen, you may have to go through an authorization process so the tool can fetch your files. Step 4 Once your HEIC files are converted to PNG, you could download the converted files to your computer. 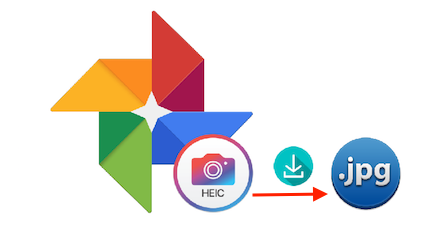 That is how you convert HEIC to PNG using various upload options. 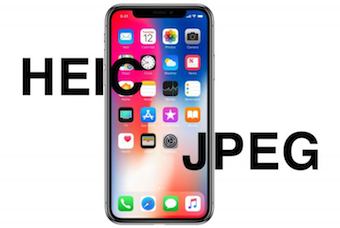 Some of you may want to resize or rotate your HEIC images when they are converted to the PNG format. If you want to do it, Coolutils has you covered. 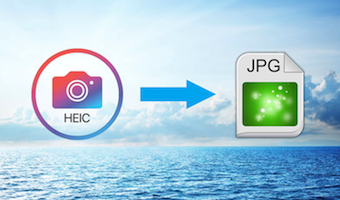 It is a HEIC to PNG converter tool that allows you to perform editing actions like resizing and rotating your images before they are converted. The following is how you can use the tool to convert your files. Step 1 Open a browser and head over to the Coolutils website. Step 2 Click on the Select files option when the website has loaded to upload your files. 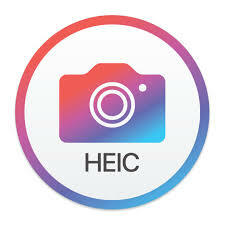 Add all of your HEIC files that you want to convert to PNG. Step 3 Click on PNG from the formats available on your screen and then you may specify custom settings for the Resize and Rotate options on your screen. 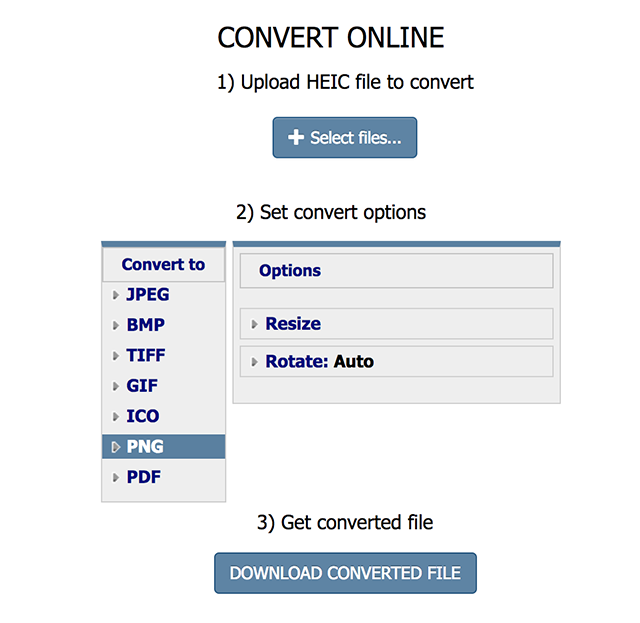 Step 4 Click on the Download Converted File option to download your converted PNG files. You should be able to access the converted PNG files on any of your devices. 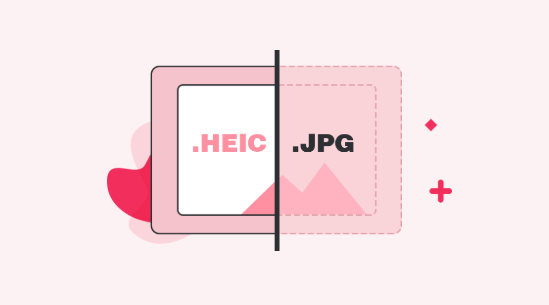 While there may be a number of ways to do a standard HEIC to PNG conversion, each of the above-mentioned methods has a unique advantage. We hope it helps you convert your files to your chosen format.